Located in Blount County, Blountsville is a thriving community with a lot of history. The town was created in 1818 and named after Governor Willie G. Blount of Tennessee, the man who was responsible for helping settlers in Alabama during the Creek War of 1813-14. These days, the town has much to offer. Here’s a rundown on some of the coolest attractions. If you’re a fan of water parks, Spring Valley Beach is a must for all the family. Not only is it packed with thrilling rides and attractions like the Sidewinder, 360 Rush, the Blackout, the Need For Speed, and the Circle S, the park also has a 2 acre pool with a wide range of slides, a kids’ area with safe slides and water play, and a picnic area that all the family can enjoy. In 2016, Blountsville Historical Society was awarded the Small Town Preservation Award for its work on and dedication to the Blountsville Historical Park. Spend an afternoon in this unique park and explore some of the finest log cabins surviving today. All the buildings have been restored to their original standard and many of them are home to period furnishings. Each first Saturday of the month you can also enjoy heritage craft demonstrations and classes. There is also an annual Daffodil festival each March and photo sessions with Santa in November and December. Whether you live in the Deep South or you’re just passing through, you can’t pass up on a good BBQ, and Deep South BBQ and Soul Food has a reputation for some of the best. Not only is the BBQ top notch, they also offer impeccable chicken, ribs, slaw, and beans, all in the tradition of Southern soul food. On a hot summer’s day you can’t beat taking the family to Frosty Freeze. 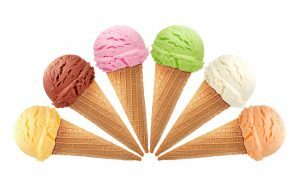 You can cool down with many flavors of ice cream and cool deserts like their famous homemade apple pie with ice cream. 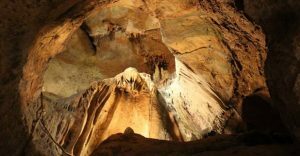 Just outside of Blountsville, in nearby Warrior, you’ll find Rickwood Caverns State Park. If you’re looking for an exciting, adventurous way to stay cool this summer, this is the place to be. This massive cave contains rock formation that date back more than 260 million years. Each cave was carved from the ocean bed by ancient water formations. You can chill out during the summer months as the caves stay at a 58-62 degree temperature. When you’ve finished the guided tour, you can also enjoy gemstone mining, picnicking, hiking the Fossil Mountain Hiking Trail, and spending the night at the campground. You’ve worked long and hard to save money for your family’s summer vacation, so why waste money on your energy bills when you’re not even going to be at home. Before you pack your bags and head off to have fun in the sun, if you don’t already have one, have a programmable thermostat installed. This type of HAVC controller can help you save money when you are on vacation, out at work and even while you sleep.